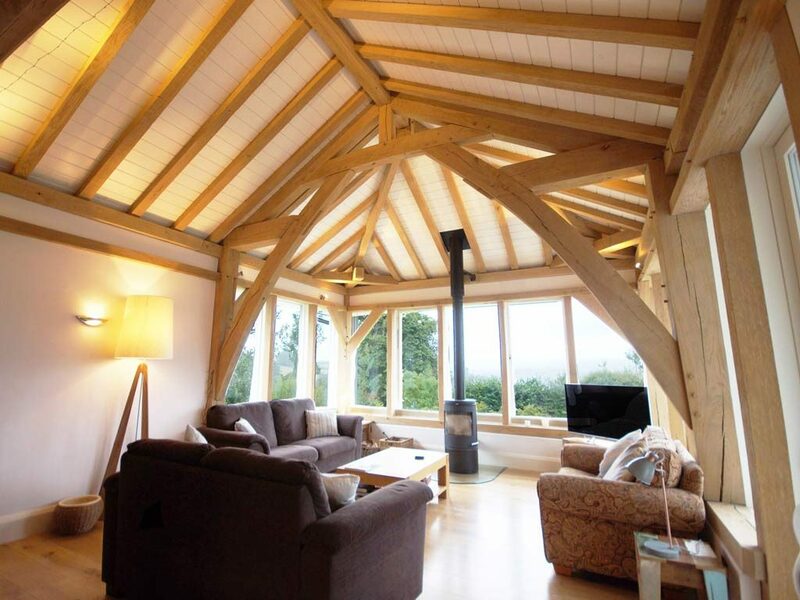 October sees another Carpenter Oak open house event take place in Devon on Friday 12 October. 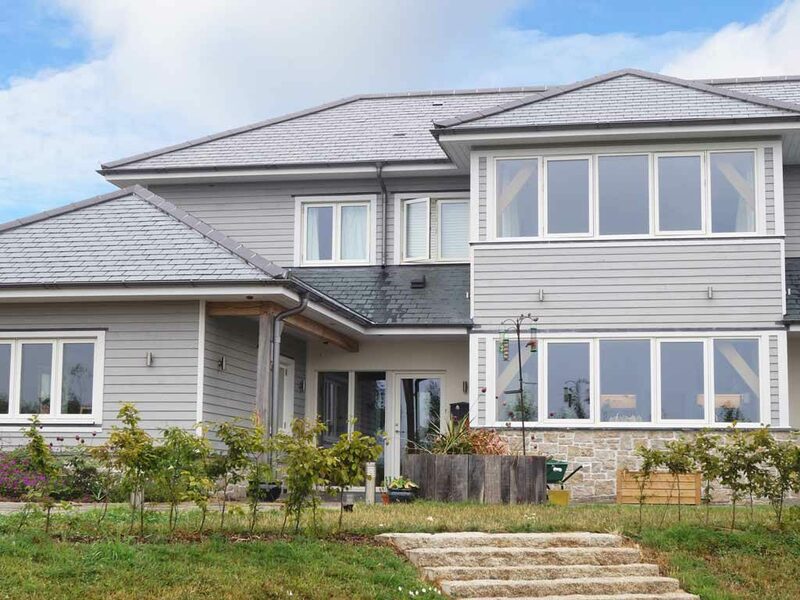 With the kind support of the homeowners, we are welcoming anyone with a build project to visit. 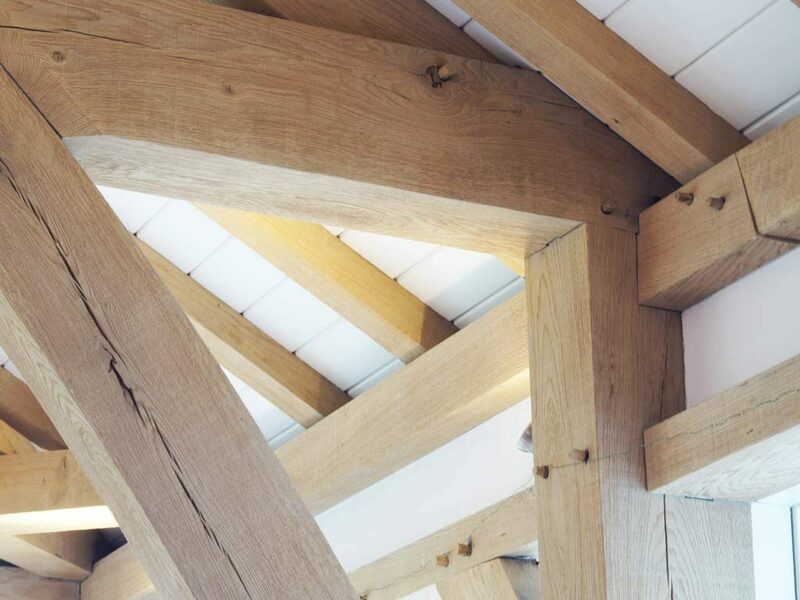 You may be looking for inspiration and ideas or need in-depth and technical knowledge about how a timber frame can work for you. 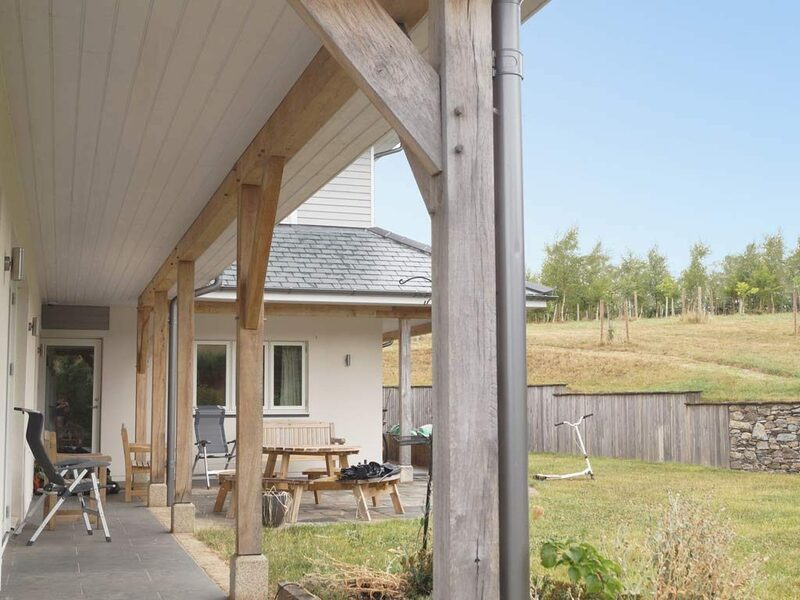 The home, near Ashburton, has landscaped gardens with hillside views over the surrounding Devon countryside. 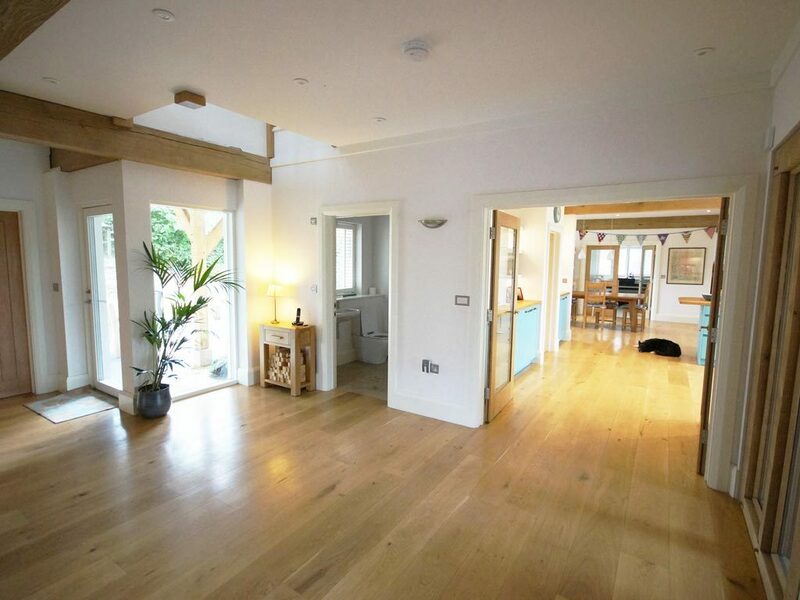 Oak features throughout the ground floor, including a generous full height living room that showcases the hand made frame. 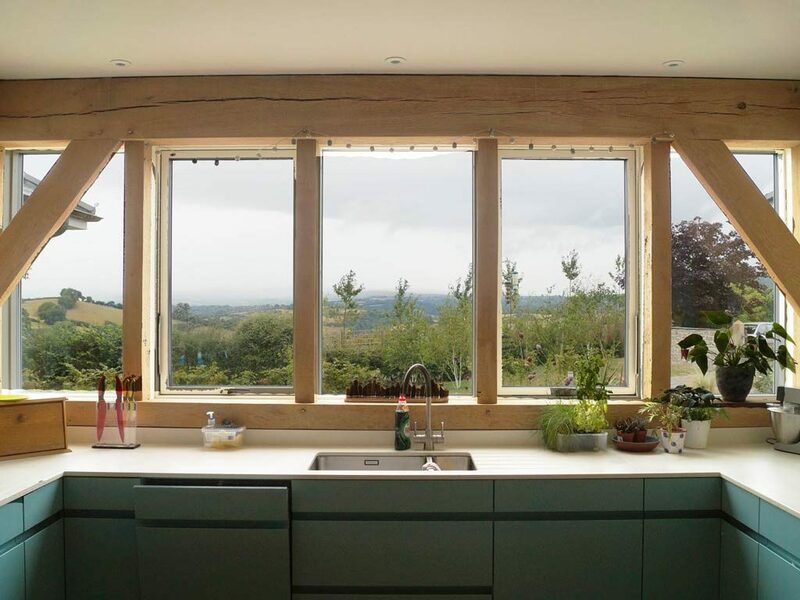 A bespoke, modern kitchen is the central focal point, beautifully framed by the glazed oak, making the most of the views beyond. 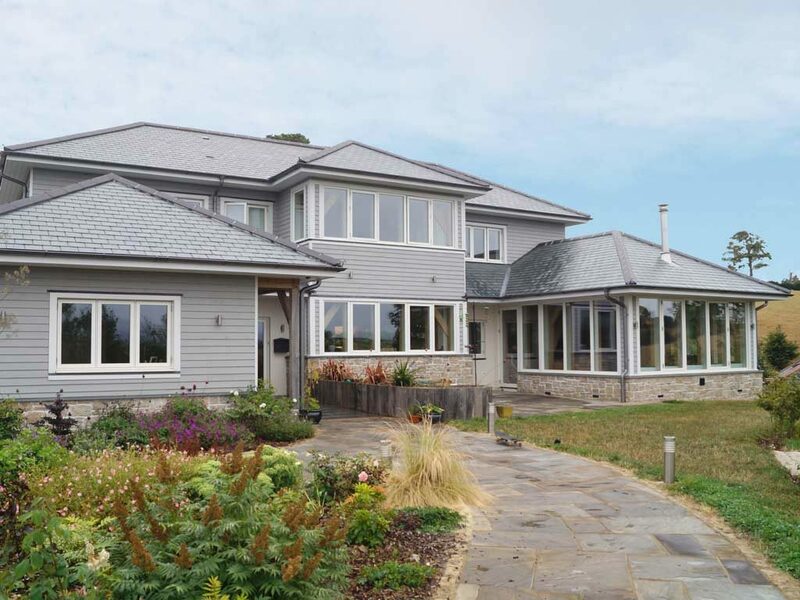 Find out more about the home in our case study. 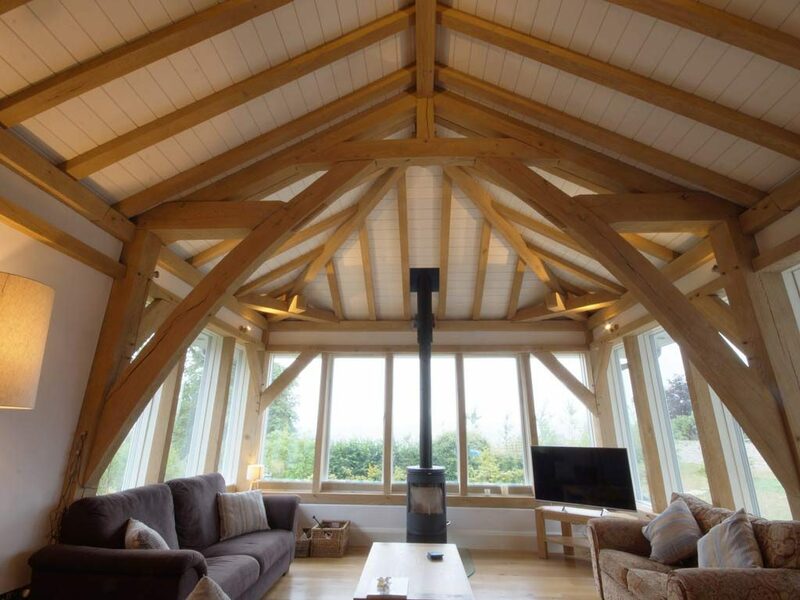 You will be able to talk with the key people from Carpenter Oak, as well as the owners, who can share their experience of building an oak framed home. If you would like to join us in October, booking is essential, so that we can stagger appointments and let you make the most of you time at the house. If you have any drawings, sketches or photos of your project, bring them along so we can talk you through the possibilities. The Open House event runs from 10am – 5pm on Friday 12 October. You can book via email, or call 01803 732 900. We will reply to discuss your time slot and give you directions. Can’t make it in October? 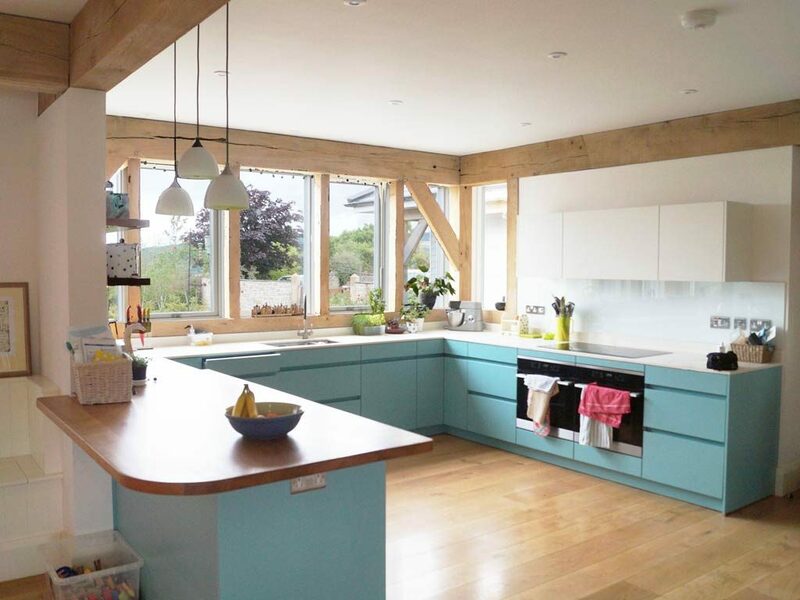 Have a look at our events calendar to see when and where our other open house events and shows are taking place.